Emergency Dentists USA has compiled a comprehensive listing of Pittsburgh emergency dentists making it simple to pick the friendly, helpful, and competent dentist that you need for your dental problem. This listing includes 24-hour dentist services, walk-in dental clinics, and after hour dental offices that serve patients during the evening or on weekends. Also, our 24-hour Pittsburgh emergency dentist hotline allows you to contact an emergency dentist immediately with the help of a friendly operator. I am so glad I found this site, their listings of dentists in my area was perfect for me. I didn’t have to call around, I was able to find dentists and their hours right on this site and could pick the one that worked best for me! Finding an emergency dentist in Pittsburgh is as easy as simply scrolling through the listings of well-trained dentists located below. Included in this listing are walk-in dental clinics, after hours dentists, and even 24-hour dental clinics. Walk-in dental clinics allow patients to have their dental emergency addressed without waiting days or even weeks for a dental appointment. Emergency 24-hour dental clinics offer access to a Pittsburgh emergency dentists 24-hours per day and seven days per week. And after hours dentists offer dental appointments after normal office hours or on weekends. Whether you have chipped a tooth or lost a filling, Emergency Dentists USA ensures that an emergency dentist is right at your fingertips. You can scroll down to see Pittsburgh emergency dentists, their office addresses, and even their hours of operation. Description Call to be connected with the perfect dentist for you. Pittsburgh is a large city and we have the connections to find a dentist to fit your needs, and can get you an appointment immediately. You can get emergency dental help in Pennsylvania fast. Description: Having a walkin dentist such as Dr. Emmert and his reliable crew will put your mind at ease immediately when you know that any time you have something happen to you they will be there. With Saturday hours from 8AM until 3PM, a staff that will be able to cater to all of your dental needs, and experience to guide you through anything from a cracked tooth to an abscess, this clinic has it all when you need it most. Description: Dr. Mark Nista makes use of state of the art dental equipment in order to address your urgent dental needs promptly as advertised. Emergency callers or walk-in are encouraged. Office hours include Saturdays and some evenings for those unexpected emergencies. The need to find a Saturday dentist is one of the things that patients require when an emergency strikes, and this office has got you covered. Description: Providing four dental emergency clinics in the Pittsburgh, PA, surrounding area, this quality dental care facility can aid you in those situations when an urgent dentistry matter occurs in your life. Offering convenient weekend, evening, and after hours appointments, you can reach out by phone, email, or through their website. No interest financing is available and a dental plan is offered to those without insurance. Senior citizen discounts are available. Description: Headed up by Dr. Kristin Horvath, who graduated from the University Pittsburgh School of Dental Medicine, this friendly family practice can help you in a pinch. The doctor completed her residency in 2003 and has been making her patients her number one priority ever since. Description: Dr. Passineau and the others are a great after hour dentist clinic that can help you with anything you may encounter from aching teeth, wisdom teeth removal, or teeth that have accidentally been knocked out. When any of these things happen to your family, you want to be sure to have someone on hand who can provide the best of care, skilled approach, and who has seen many different kinds of patients in their day. Description: This choice for an urgent care dentist in downtown Pittsburgh has a ready and reliable staff, proven track record of experience, and ability to fix you up after you encounter major dental issues. 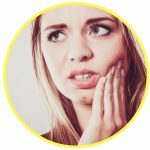 Anything from a bitten-down on lip or tongue, tooth that has become dislodged, or injury to the jaw will make you need to see an emergency dentist right away. Description: Dr. Bellios and the staff are on hand to make sure that you receive quick care, attention to any dental problem that have been ailing you, and a listening ear if you have fears for the future about your dental health. Anything from an abscess or need for root canal therapy Bellios Dental will be there to make sure that you head home healthy and happy. 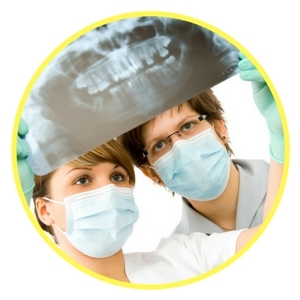 A Pittsburgh emergency dental clinic is similar to your regular dental clinic. Try to arrive approximately 15 minutes prior to your appointment. This allows you plenty of time to ask questions and fill out the necessary paperwork. Ensure that your emergency dentist accepts your chosen form of payment. Some dental clinics will even submit your bill to your dental insurance company. Bring a current list of your medications to your Pittsburgh emergency dentist. If you have allergies to any medication, be sure to let your new dentist know. Common 24-hour dental emergencies include lost or broken crowns, lost fillings, and broken or loose braces or wires. A soft tissue injury to the mouth is another common dental emergency along with broken teeth or chipped teeth. Emergency Dentists USA has the perfect emergency dentist in the Pittsburgh area for any of your dental emergencies. A crown may come loose or fall out while you are eating sticky or hard foods. If a crown comes loose or falls out, it is important to bring it with you to the dental appointment. You can apply a small amount of clove oil to the painful area to lessen the pain. Coat the inner surface of the crown with over-the-counter dental cement or toothpaste, and place the crown over the tooth if possible. Objects caught in teeth can be quite painful when they place pressure on the gums and teeth. To alleviate the pain, first rinse your mouth thoroughly with water and then floss between the teeth to remove the item. Never use a pin or other sharp object to pry the object from between the teeth as you could cut or damage the gum. It is important to see an emergency room physician at the ER to ensure that you do not have injuries other than your tooth trauma before you head to an emergency dentist in the Pittsburgh area. Tooth trauma that is caused by an accident may include broken bones or a concussion that should be evaluated by an emergency room doctor. Your Pittsburgh emergency dentist can then discuss the best way to fix that tooth trauma. Many broken or damaged teeth can be repaired in a dental clinic. You might need an emergency tooth extraction because of severe tooth decay or because of damage to the tooth in an accident. An emergency dentist will generally begin the process with an examination and an x-ray of the problematic tooth. He or she will then choose a local anesthetic or a general anesthetic to numb the area. A special dental tool is used to remove the tooth from the gum. Sometimes the gum is then sewn closed in order to speed healing. Gauze is inserted into the closed hole where the tooth was and the patient is given painkillers and antibiotics depending on the need for those medications. Healing following an emergency tooth extraction generally occurs within one to two weeks. If your dental emergency occurs due to a fall, a sports injury, or even a car accident you should immediately go to the emergency room because parts of the body other than your teeth might be affected by the accident. However, visiting the emergency room may be an unnecessary expense when a tooth problem is the only issue in your emergency. Keep in mind that an emergency dentist is the expert in fixing broken teeth, while the emergency room physician will probably only treat your symptoms and then refer you to an emergency dentist. Skipping the visit to the ER can save you both time and money in a true dental only type of emergency. When facing a dental emergency, choosing Emergency Dentists USA can make the emergency situation seem like a breeze. With just one phone call, our staff can find a dentist near you that is open the hours you are needing! When choosing a Pittsburgh emergency dentist, make sure to check the dentist certification using the American Dental Association website located here: www.ada.org. This website allows you to search for the dentist you have chosen and check current licensing and certifications. 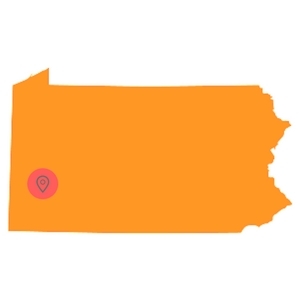 You can also use the Pennsylvania Dental Association website located here: Pennsylvania Dental Association to research local dentists in the state of Pennsylvania. Pittsburgh shares its dental association with most of western Pennsylvania. You can find relevant information for Pittsburgh dentists here: http://www.dswp.org/.